We use of various control systems to control industrial applications with minimal or reduced human intervention. Some processes have been completely automated. The biggest benefit of our automation solution is that it saves labor; however, it is also used to save energy and materials and to improve quality, accuracy and precision. Motivated to attain maximum client approval, we provide clients with the premium quality of Sugar Mill Automation Projects. The sugar mill projects are used for can carrier automation, mill drives automation and conveyor automation of sugar plant. 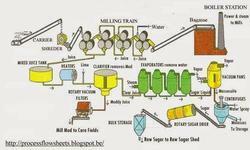 In accord with the specifications provided, the sugar mill projects can be customized. 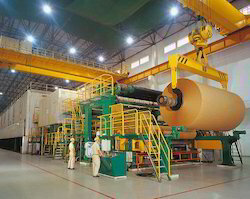 Being a market leader of this domain, we provide clients with the premium quality of Paper Mill Automation Projects. Used in paper mill industry for automation purposes, the paper mill projects can be customized at our end. Systematic automation of paper mill within promised time frame, make the paper mill projects highly demanded. Looking for Automation Projects ?